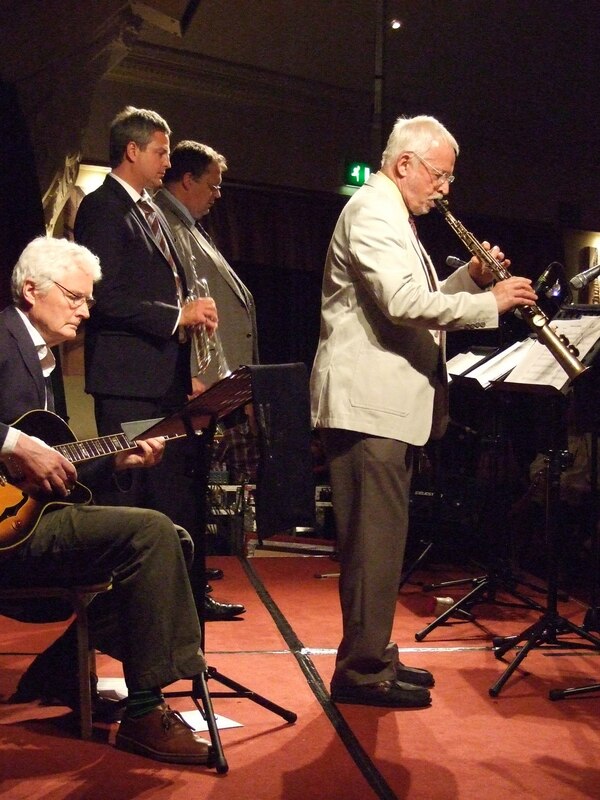 Forrie Cairns (third from left in front row), with Jim Galloway (centre, on soprano sax) playing When the Saints Go Marching In at the Edinburgh Jazz Festival’s Guinness Book of Records attempt at biggest ever jazz band. This was just, says Forrie, one section of the band! 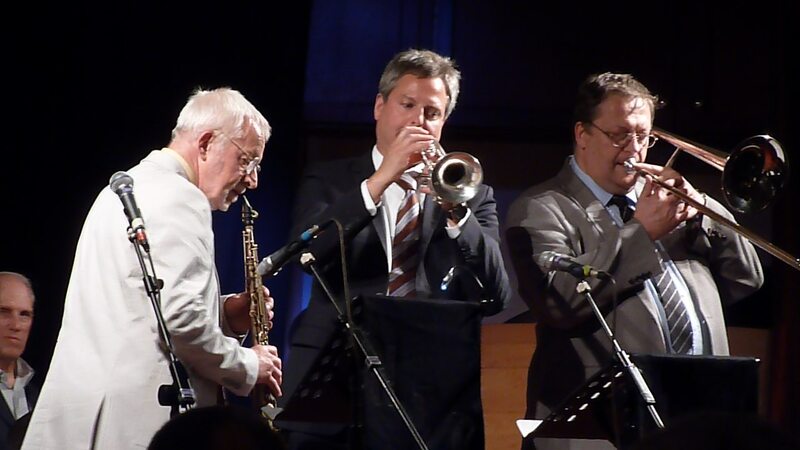 “I was working virtually non-stop in Switzerland for the first 30 years of the jazz festival. But on the odd occasion when I took part in it (I think four altogether), what always excited me was the way Mike Hart (before it became more of committee-run event) managed to arrange those great afternoon Pub Trail gigs and the ones in the Festival Club with all the unusual line-ups comprising the musicians from the various visiting bands. 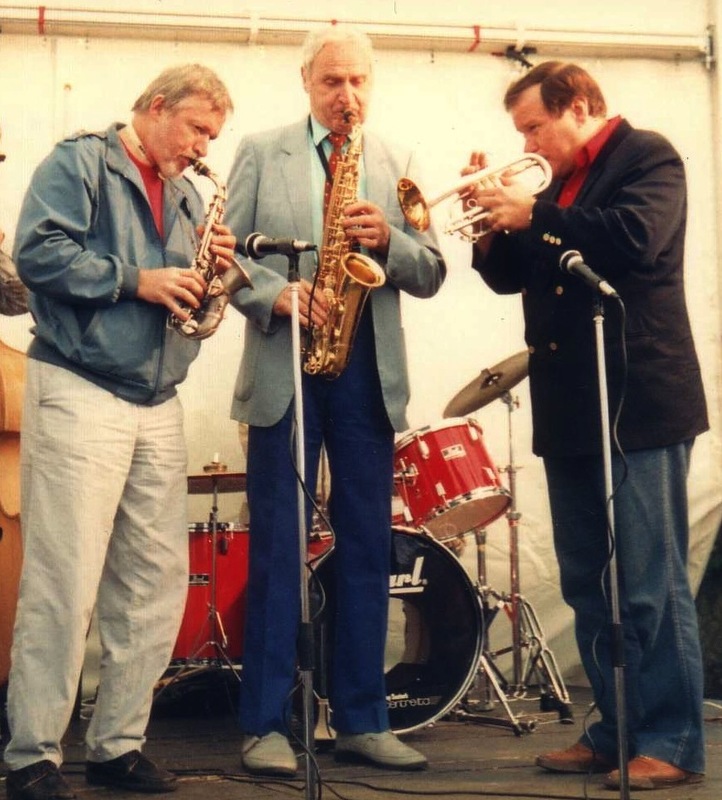 “For example, in the mid- 1980’s I came over for week with Bob Wallis and although I worked each night with Bob at various venues, I found myself one afternoon duetting with John Crocker, the sax/ clarinet player from the Chris Barber Band. It was great fun. 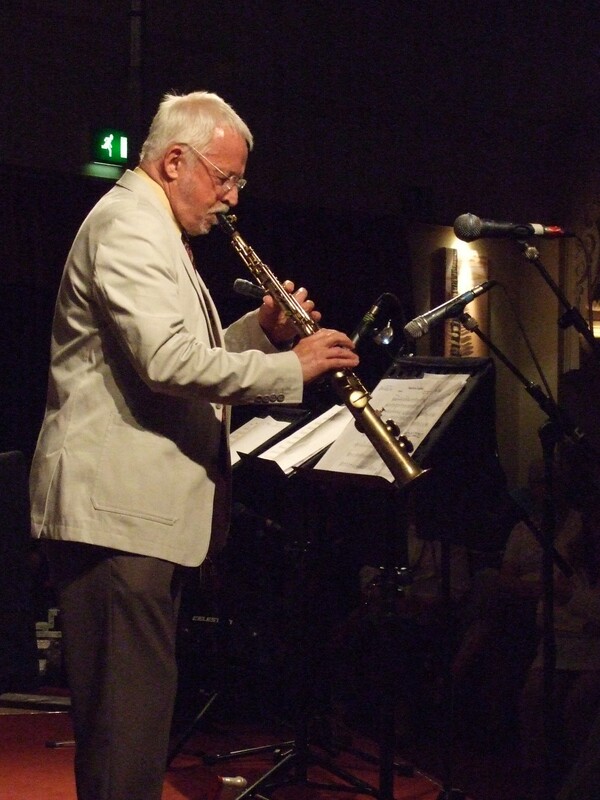 Jim Galloway, who has died at the age of 78, was one of the leading exponents of the soprano saxophone in jazz. Not only was he a wonderful musician and organiser; he was also one of the warmest, friendliest and least egocentric of talents. A kind, witty character with a mischievous twinkle in his eye and gentle west coast accent which he never lost, despite having spent more of his life in Canada than in his native Scotland, he loved the music, loved other people who loved the music, and seemed to represent what’s best about the jazz community – its spirit of camaraderie. Any time his name came up in conversation – whether with American, Scottish or French musicians – eyes would light up, and somebody would tell a story and want to be remembered to him. It’s impossible to separate the man from the music: both were full of infectious, often gleeful, enthusiasm and irrepressible joie-de-vivre. 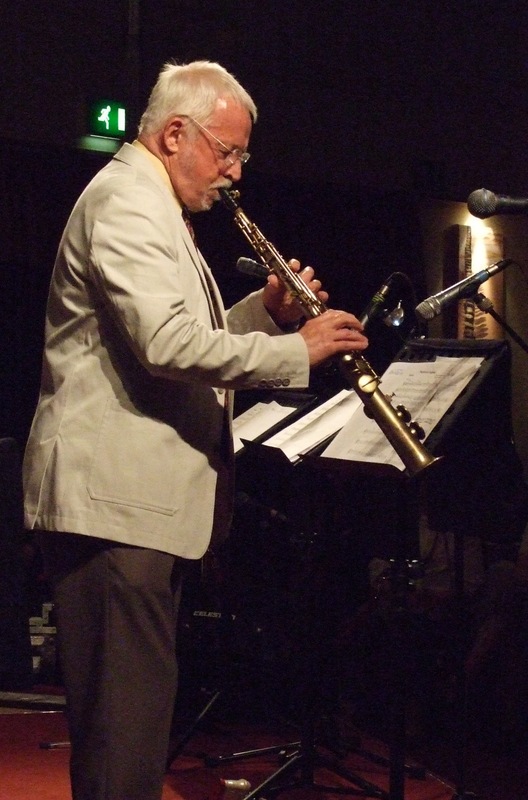 American cornettist Warren Vaché says: “He was a caring and honest musician whose sense of fun and humour were always present, and whose love of puns in speech seemed to translate into a love of quotes in his solos.” Glaswegian clarinettist Forrie Cairns – who first met “Jimmy” at the Evening Times’ annual Jazz Band Championships at the St Andrew’s Halls, when Galloway was with the Esquire Jazz Band and he was with the Jim McHarg Jazz Band – remembers him as “one of the few true gentlemen of jazz”. An avid radio listener, the teenage Galloway soaked up inspiration from many instrumentalists, notably trumpeter Louis Armstrong, trombonist Vic Dickenson and saxophonists Johnny Hodges and Ben Webster. But, as was evident in later life when he was at home in any jazz context, he also grew up listening to the emerging bop players. His late teens coincided with the trad jazz revival, when there were plenty of opportunities for a young jazz clarinettist to play every weekend in Scotland’s major cities, and the unlikely mecca for trad enthusiasts in Glasgow was Whitecraigs Tennis Club, on the southside. Due to union rules, Galloway couldn’t operate immediately as a full-time musician so he took on design work, but he involved himself in the Toronto jazz scene right from day one, sitting in on jam sessions and playing with several local bands. 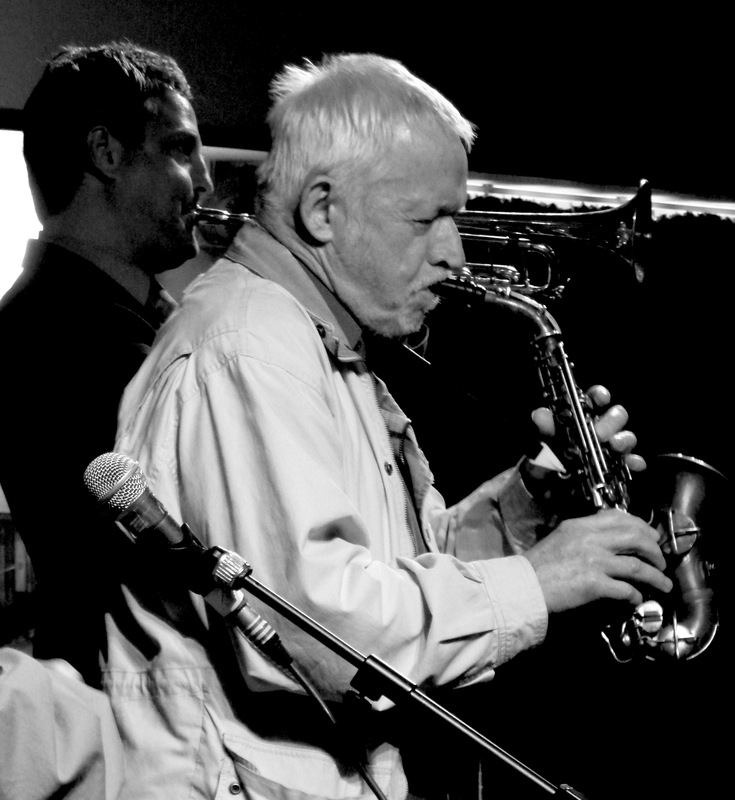 In 1967, he joined the Metro Stompers, led by the afore-mentioned fellow Scot Jim McHarg. Two years later, McHarg asked him to take over – and this indirectly gave birth to the other major strand of his jazz career: as an organiser. 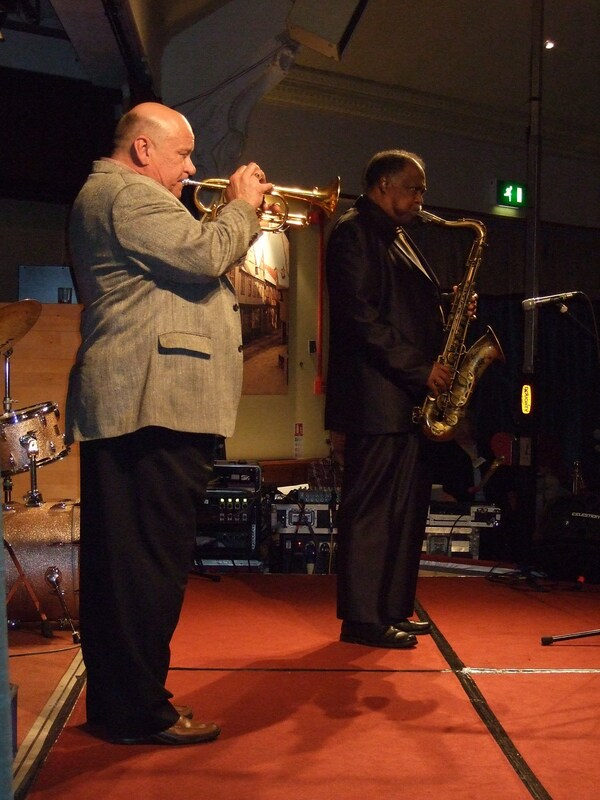 Within months, Galloway had brought in his first guest star – the legendary stride pianist Willie “the Lion” Smith. This led to Galloway booking such other ageing greats as pianist Teddy Wilson into the club Bourbon Street. By now, he was playing saxophone – mostly soprano, but he had also mastered alto, tenor and baritone. (Indeed, the last time I heard Jim Galloway, at the 2012 Norwich Jazz Party, he surprised everyone by playing a duo set on a baritone borrowed from Karen Sharp five minutes before kick-off. It was the highlight of the weekend.) He played the straight soprano sax from 1967, until three years later, when a drummer pal gave him a shot of a curved one and “it was love at first blow.” His sound on soprano was utterly distinctive and owed nothing to anyone, especially not to its most famous exponent, Sidney Bechet. In 1985, Galloway and his then-wife Rosemary, were commissioned to write a major composition, entitled Hot & Suite, to be performed by the Scottish National Orchestra plus jazz ensemble at the Edinburgh International Festival. The hour-long piece featured a host of jazz musicians (including Warren Vaché) who had performed at the Edinburgh Jazz Festival that week. In 2002, Galloway received the most prestigious arts award in France when the government made him a Chevalier des Arts et des Lettres for enriching French culture. Indeed, the worst anybody could say about him is that he couldn’t keep his puns to himself. He died after several months’ illness, and is survived by his second wife, Anne. * James Braidie Galloway, born July 28, 1936; died December 30, 2014. This sublime Duke Ellington number was my very favourite piece played by the wonderful Scots ex-pat saxophonist Jim Galloway and the ever-delightful pianist Rossano Sportiello at the Norwich Jazz Party. Anyone who assumed that Galloway would be playing his usual soprano sax for his duo set with Sportiello was, as you can see, in for a surprise as he had borrowed Karen Sharp’s baritone for the occasion and played the whole set on it. I love hearing great musicians in the intimate, duo setting – and this particular set was a joy from start to finish, thanks to the chemistry between the players, the top-rate performances and the imaginative choice of tunes which included such gems as Black Butterfly (Ellington), Lotus Blossom (Strayhorn) and Old-Fashioned Love (James P Johnson). The Norwich Jazz Party strikes just the right balance between the completely informal, thrown-together, “jam” sets and arranged sets which have a rehearsal and charts and more esoteric material. I love both – and both formats produced some magic last weekend. Such as? Well, that first track came from the opening night’s jam session. Or try this Drop Me Off in Harlem, which combusted into action so spontaneously that I didn’t even have the camera ready. And, no, that’s not Robert Redford on the soprano sax: it’s Bob Wilber, who, having hit 84, now seems to be rewinding towards his sprightly seventies… Another number which I was delighted to have captured on camera was this funky take on No Moon At All by singer Rebecca Kilgore with Craig Milverton (piano), Harry Allen (tenor sax) and Eddie Erickson (guitar) all featured. Of the sets featuring arrangements, my favourites were undoubtedly the Benny Carter set, led by Ken Peplowski, and Alan Barnes’s Ellington set – of which this sublime Sultry Sunset, featuring the national treasure that is Mr Barnes, was a stand-out. The Scottish-born, Toronto-based soprano saxophonist has always loved the legendary Bix Beiderbecke‘s “beautiful tone and great melodic and harmonic sense” – and first heard his music as a youngster listening to BBC radio. He was lucky enough to get to know older musicians, such as the clarinettist Pee Wee Russell, who were colleagues of Bix during his heyday. Indeed, Jim paid tribute to both during this year’s Norwich Jazz Party when he played I’d Climb the Highest Mountain, a beautiful ballad which Russell told Jim he liked to play “because it was a favourite of Bix’s”. 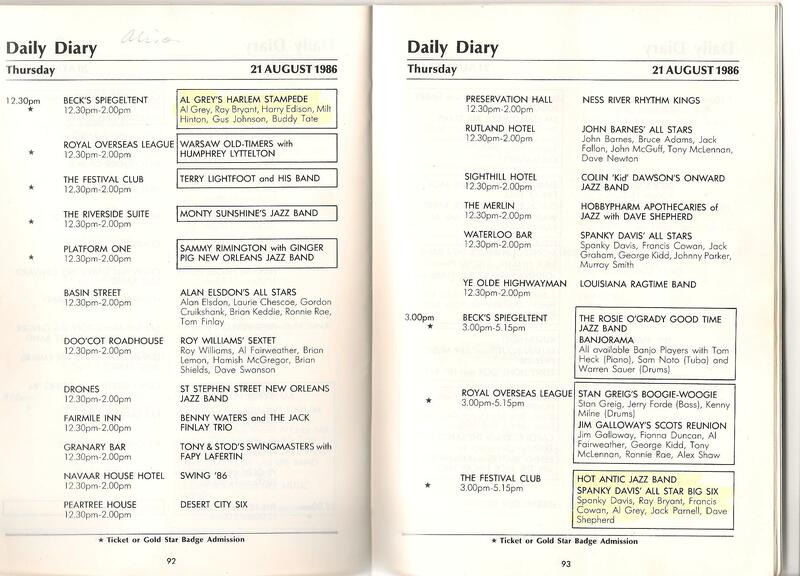 The Edinburgh Jazz Festival starts on Friday, July 22nd and I’m both mortified and proud to declare that this year is the 25th anniversary not only of my first-ever Edinburgh Jazz Festival, but also of my first-ever jazz concert (and first-ever visit to a pub with my dad) … and it all happened on one day: Thursday, August 21st, 1986. 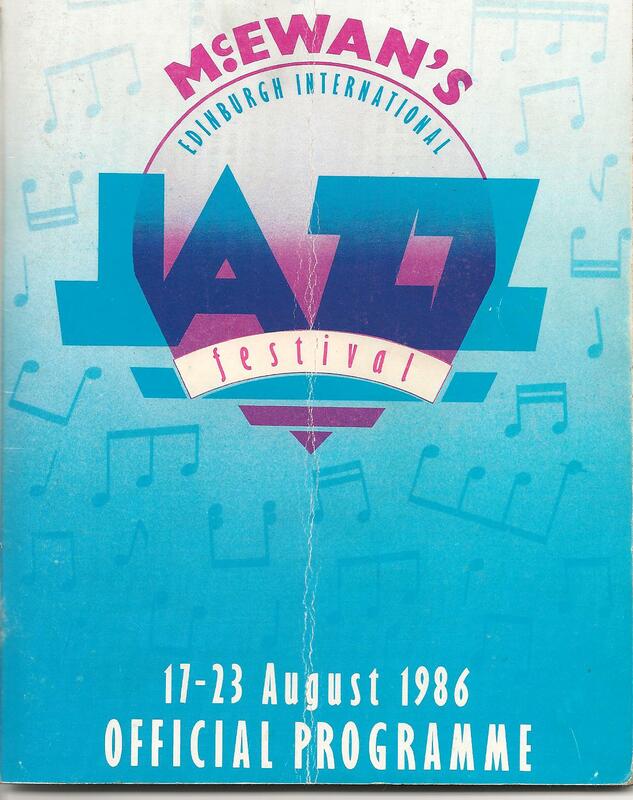 I relived that fateful day in my first-ever (bit of a theme emerging here) Edinburgh Jazz Festival preview feature which was written, in 1993, while I was still a student and about 20 articles into my journalistic career. 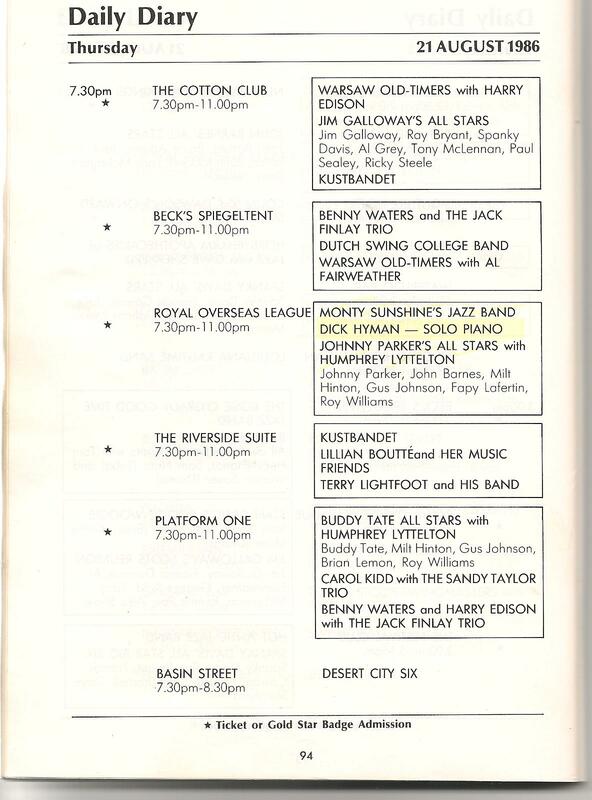 I remembered August 21st 1986 much more vividly when I wrote that article than I do now, so here it is: And here are the pages from the programme with the tantalising list of concerts I attended – as well as those I didn’t.. The last night of the Norwich jazz jamboree started in what has become its traditional style: with Jim Galloway’s Sandy Brown set. One of the joys of this jazz event for me personally – and one which I always remind myself about during the hellish seven-hour train journey from Glasgow – is the chance to hear Galloway and assorted British and American stars execute with panache the very distinctive music written by the late, great Scottish clarinettist. This was the third Sandy Brown set in as many years and, as usual, the quirky and catchy Brown originals were a delight to hear – Blues-A and Own Up proved to be the ideal tunes for getting the night’s party started. Galloway takes great care to avoid duplication of numbers played in previous years so I finally got to hear the evocative Harlem Fats and, for this outing of the Sandy Brown songbook, he also included some of the arrangements that Brown played from the musical Hair. Personally, I could listen to the Brown repertoire all night – and would have welcomed the chance to hear such previously played numbers as Go Ghana and Africa Blues again. This year’s Sandy line-up bore a close resemblance to the 2009 version: the wonderful Rossano Sportiello again proving to be the perfect pianist for this witty music, and drummer Chuck Riggs and trombonist Ian Bateman both similarly reprising their parts. Stepping into what have been Bucky Pizzarelli’s shoes in previous years, guitarist Dave Cliff did a terrific job. 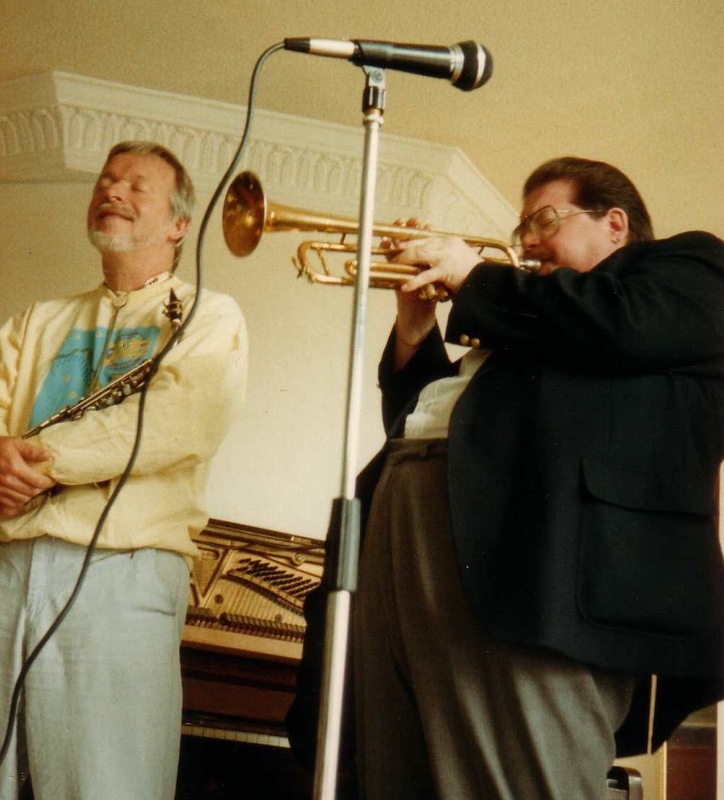 Each year there has been a different trumpeter – we’ve had Jon-Erik Kellso, Randy Reinhart and this time Duke Heitger who certainly measured up to the previous incumbents despite being unfamiliar with Brown and his music. One trumpeter who always makes a point of listening to some of the Sandy Brown set but who hasn’t yet had a chance to get stuck into Jim Galloway’s uplifting arrangements is Warren Vache. He was partnered with tenor saxophonist Houston Person for his final appearance of the Jazz Party, and it was a heavenly match, especially when it came to the set’s two ballads, Once in a While and These Foolish Things, both of which were played as lovely, relaxed duets. And speaking of ballads, tenor saxophonist Scott Hamilton – another great master of the genre – produced some magical moments on Monday, most memorably a dreamy take on the rarely played Spring Can Really Hang You Up the Most. 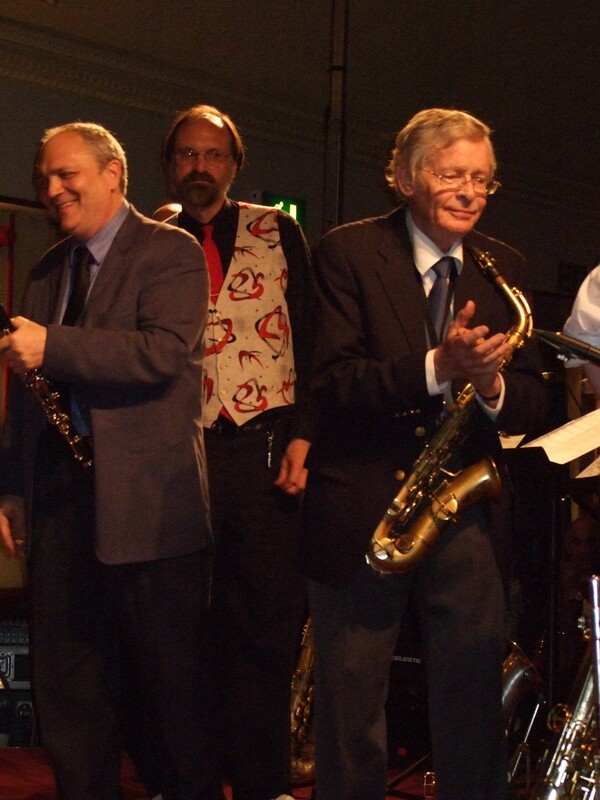 It was, however, the clarinettists – Alan Barnes, Bob Wilber, Ken Peplowski, Dan Block and Scott Robinson – who dominated the closing set of the 2011 Norwich Jazz Party. And, in a superb set, one number stood out above all others: Pee Wee’s Blues, written by Pee Wee Russell, who was described by Alan Barnes as “possibly the most technically brilliant clarinet player who ever lived”. Not only did it boast a terrific, Pee Wee-esque solo from the great Bob Wilber but it will also be remembered for Scott Robinson’s masterstroke: by way of homage to the slightly oddball Russell sound, he hummed the first part of his solo into his horn – with wonderfully lyrical results.